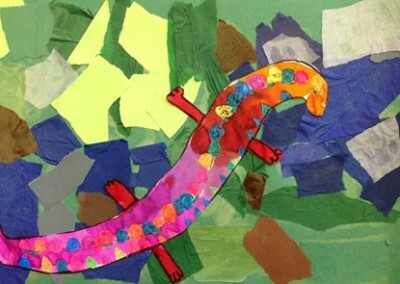 During day one of this lesson, kindergarten students listened to a reading of the book, The Salamander Room, by Anne Mazer. 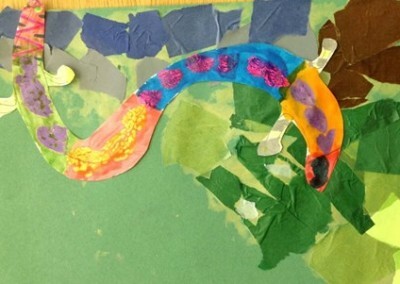 They then created a thinking map as a class to brainstorm what salamanders need to survive, what things other animals might need, and the things kindergarteners need to survive. 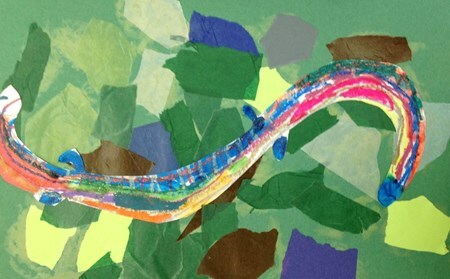 The terms habitat and survival were introduced. 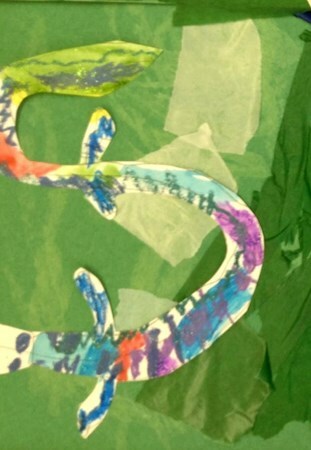 Following a guided drawing lesson, students drew their own salamanders, and using the letter “s” to guide them, connected the sound of the letter “s” with the word “salamander”. 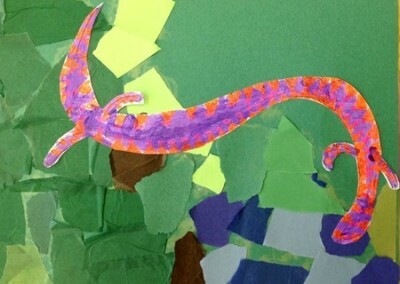 After completing a practice drawing, students again followed a guided drawing lesson and created a final drawing, which was outlined in Sharpie marker. Students viewed images of real salamanders and identified some of the different patterns found on their bodies. 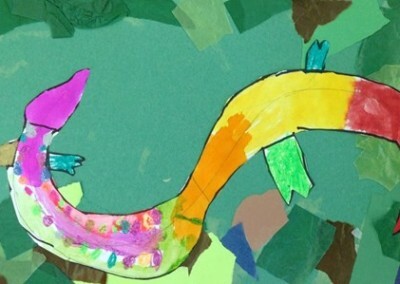 Using this as a guide, students added patterns to their own salamanders with brightly-colored and sparkly oil pastels. 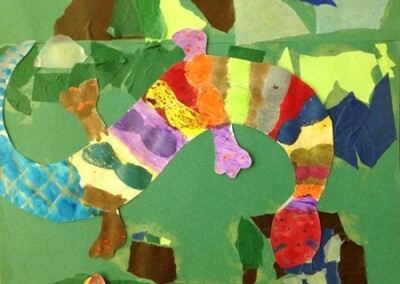 Finally, students water colored over the top of their patterns. On day two of the lesson, students created habitats for their salamanders to live in. 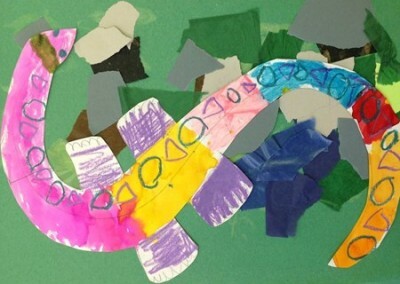 As a class, we reviewed the thinking map created previously, and considered what colors we might use to represent dirt, grass, leaves, water, and rocks. Pre-ripped paper in a variety of colors and textures was provided to the students to create beautiful collage backgrounds, and using glue sticks, students adhered the papers to their artwork. 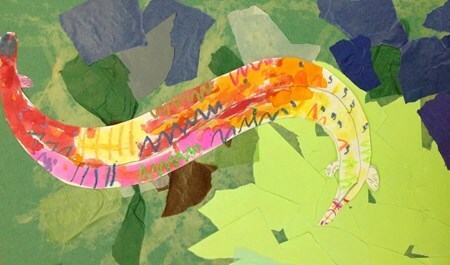 Once they completed their collage, students salamanders were returned to them. 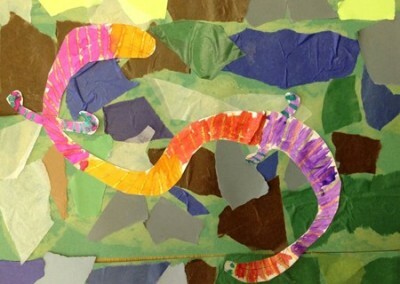 These were cut out and then glued on top of the collage. 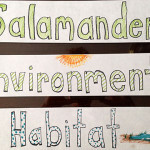 Students will create a thinking map as a class to brainstorm what salamanders need to survive. 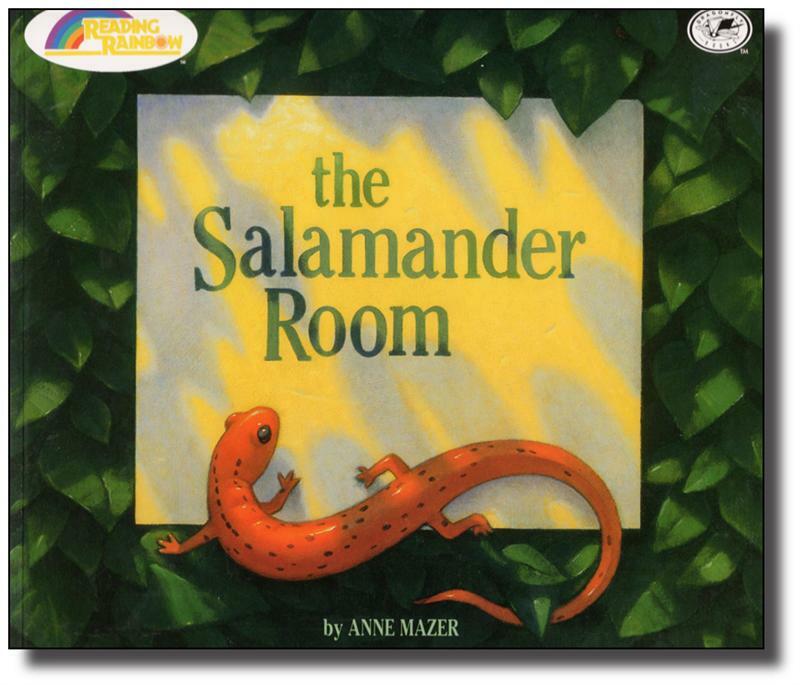 Using clues from the book, The Salamander Room, by Anne Mazer, they will name several items and provide, “how they know” responses. 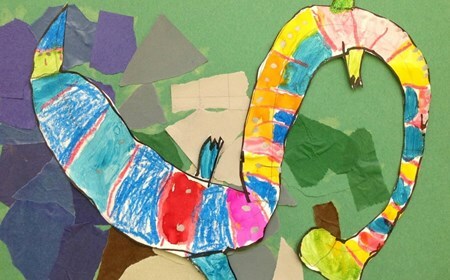 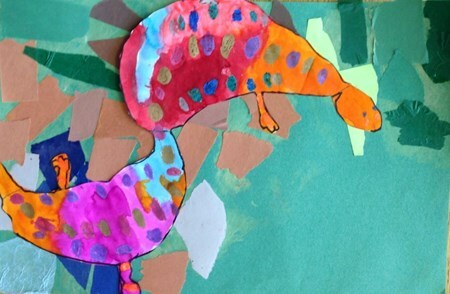 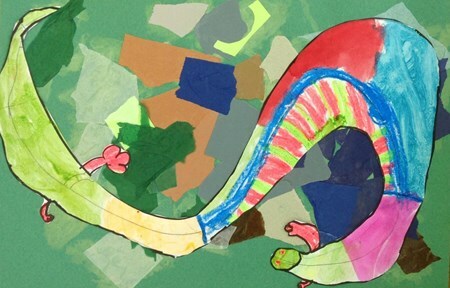 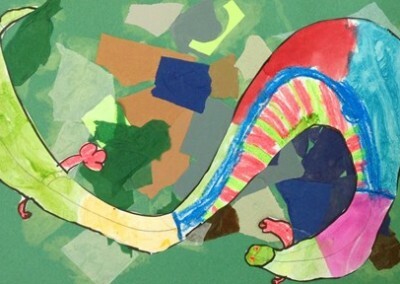 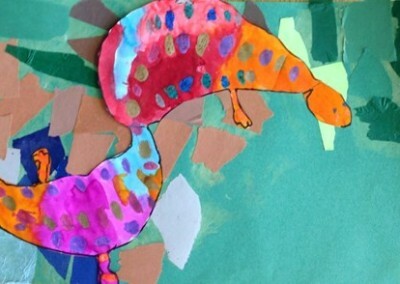 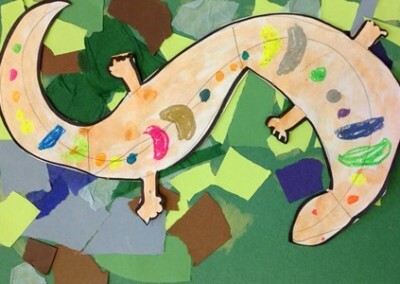 Students will successfully follow the teacher’s directions and demonstration to create a salamander drawing with a head, tail, body, and four legs. 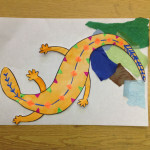 Students will also use the letter, “s” to guide the shape of their drawing, and connect the sound of the letter “s” to the word “salamander”. 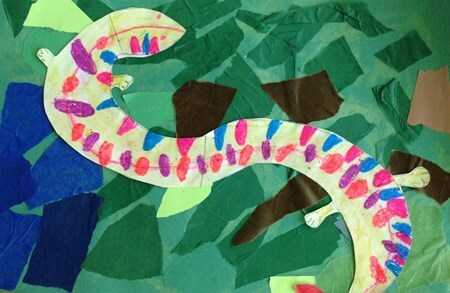 Students will add at least one pattern to the body of their salamander, with a pattern that repeats at least three times. 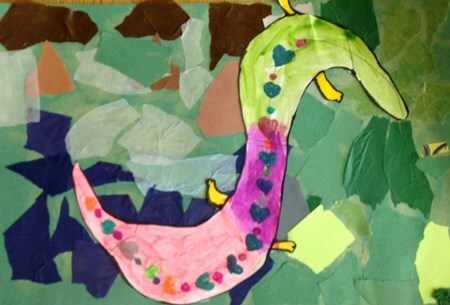 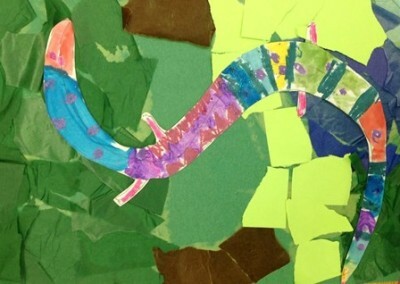 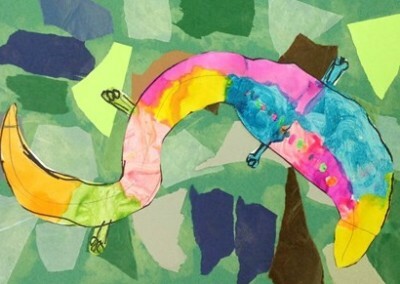 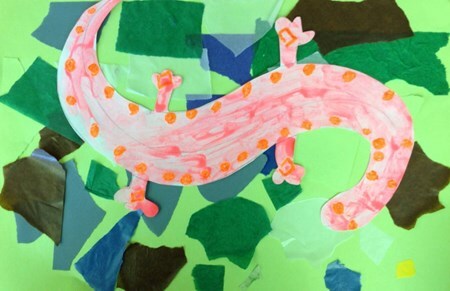 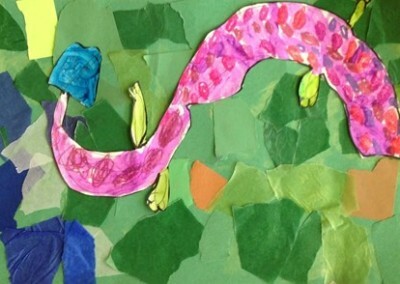 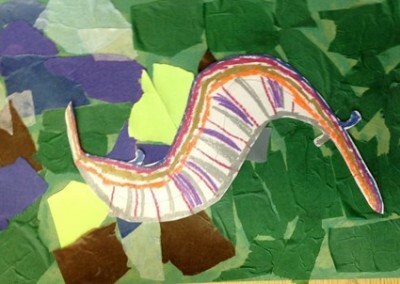 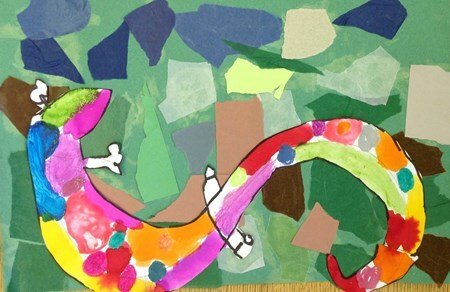 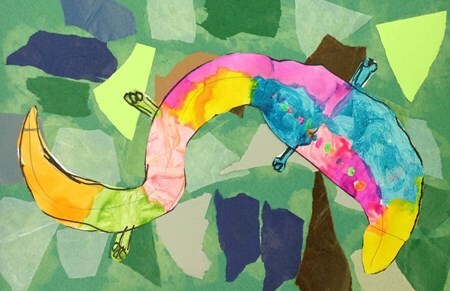 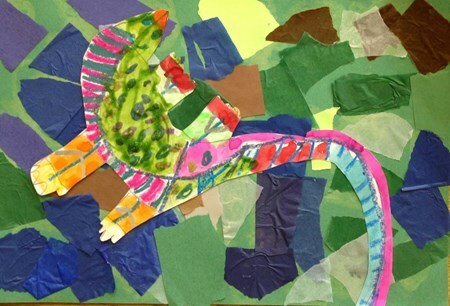 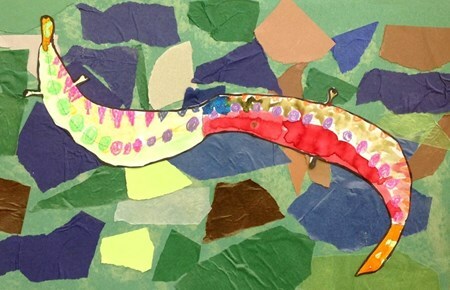 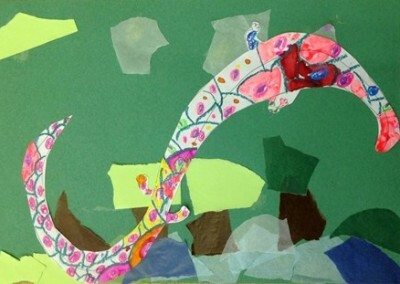 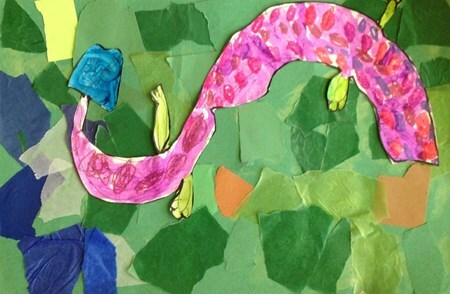 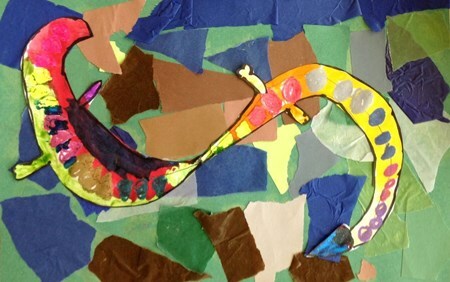 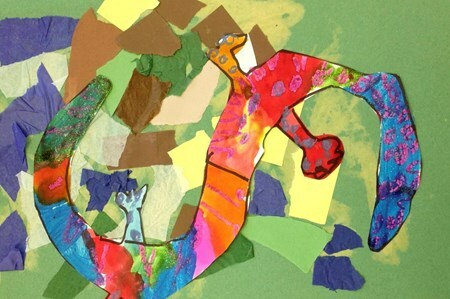 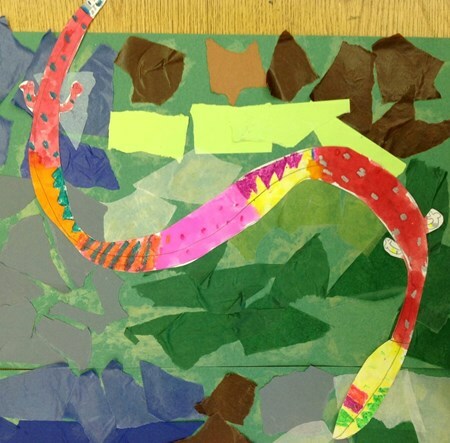 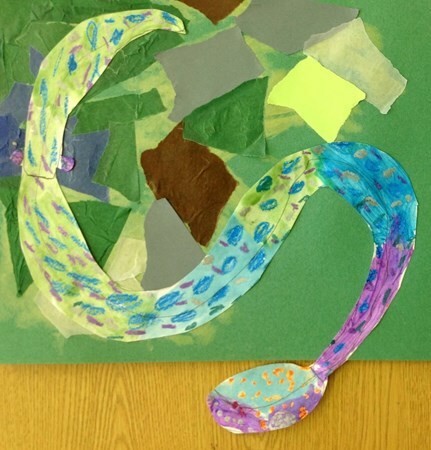 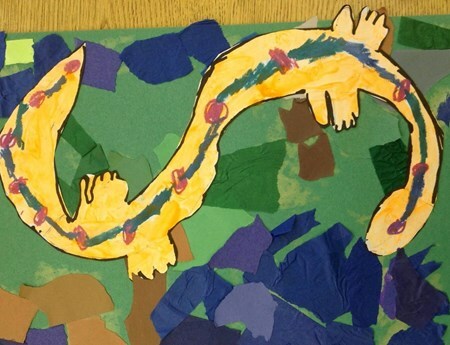 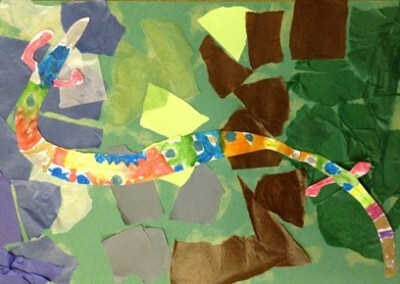 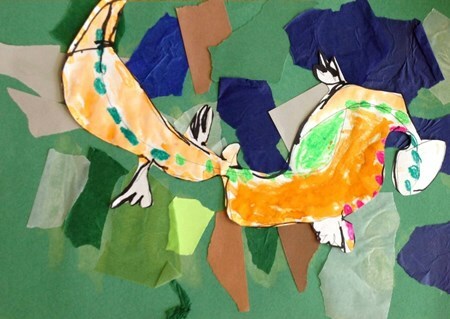 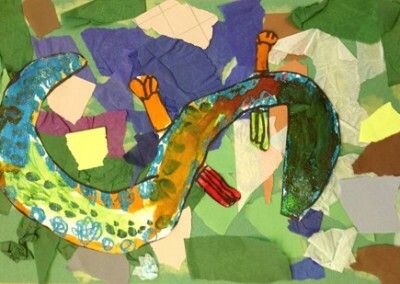 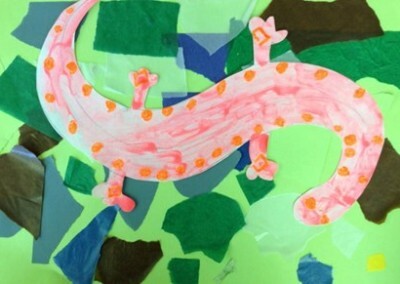 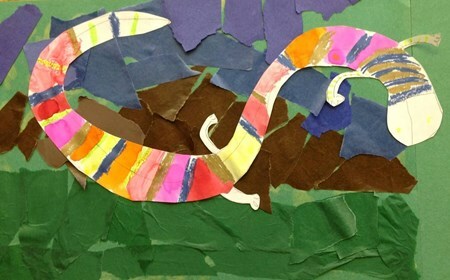 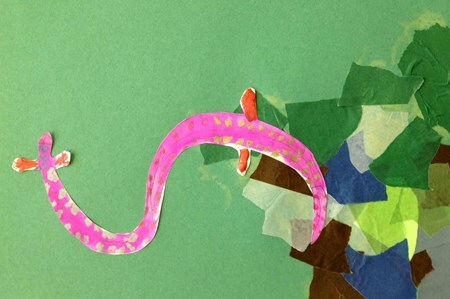 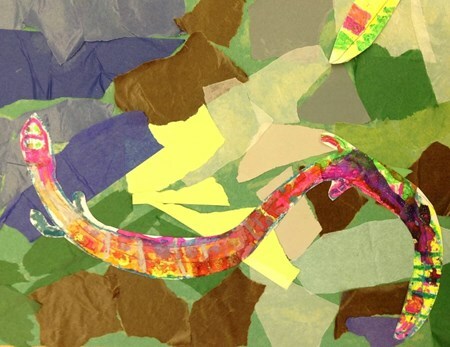 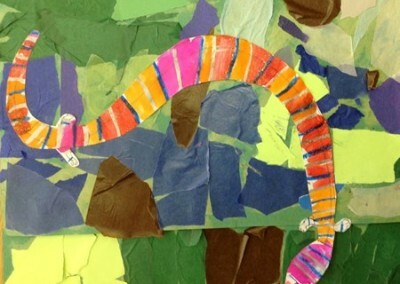 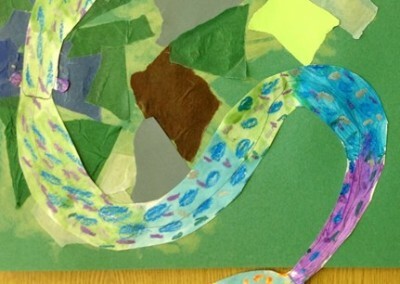 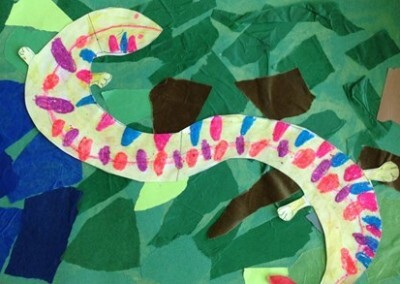 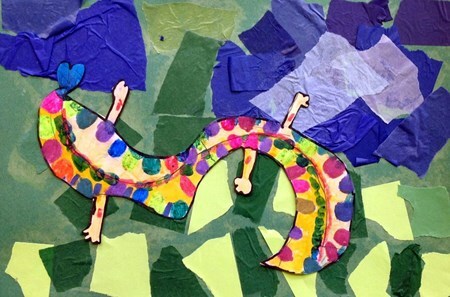 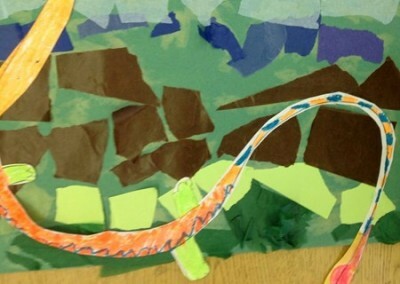 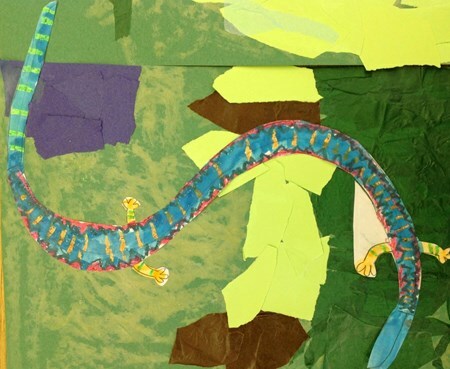 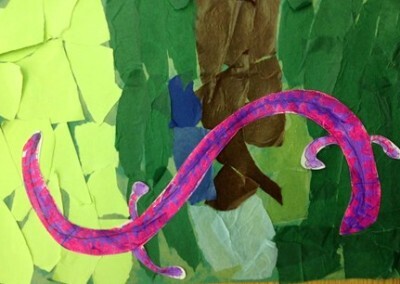 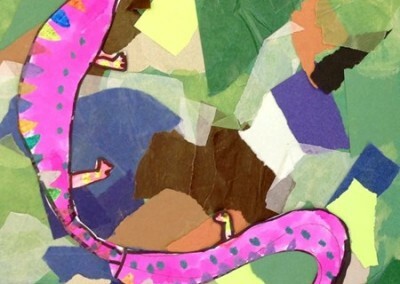 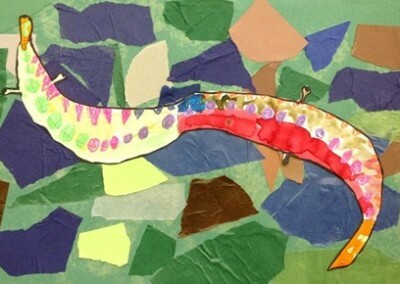 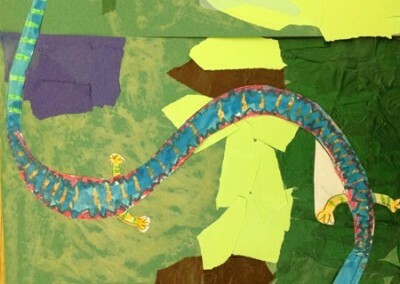 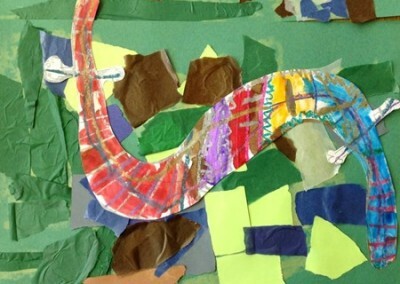 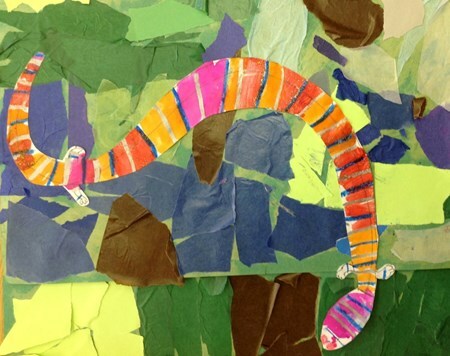 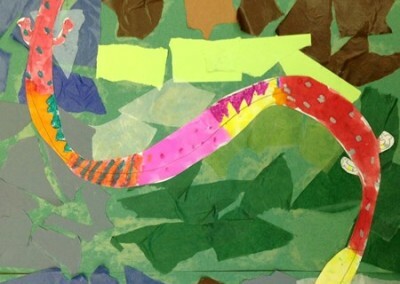 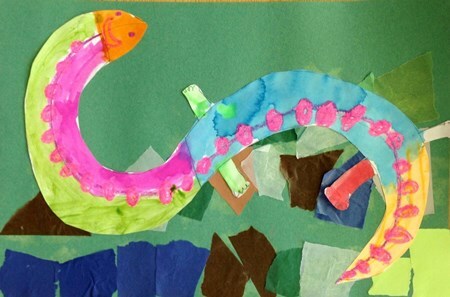 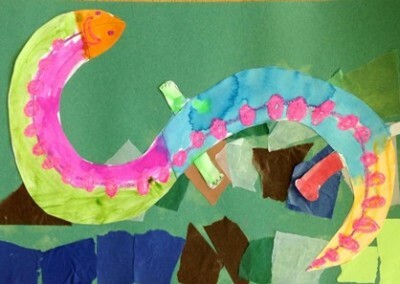 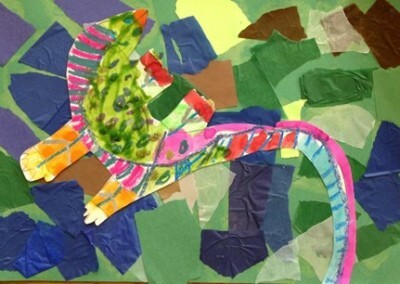 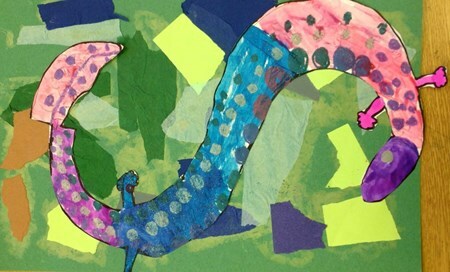 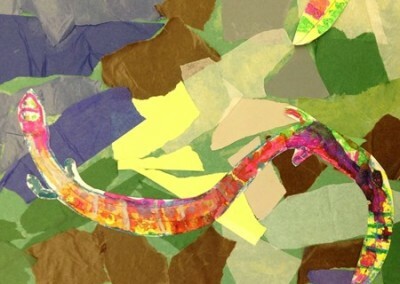 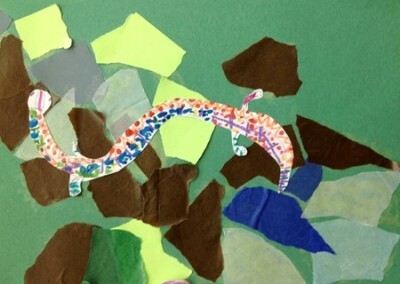 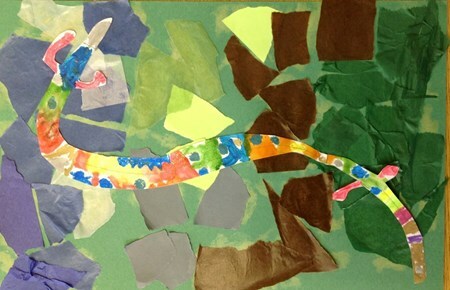 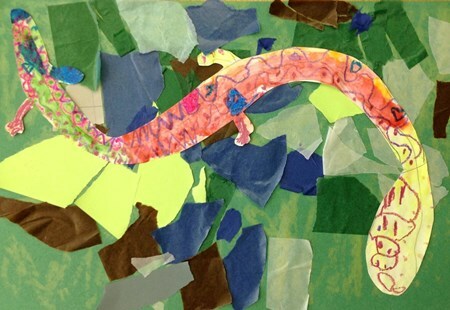 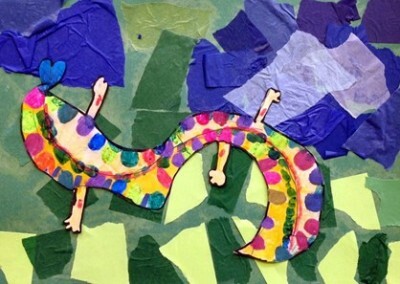 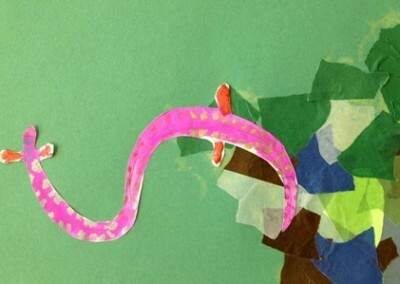 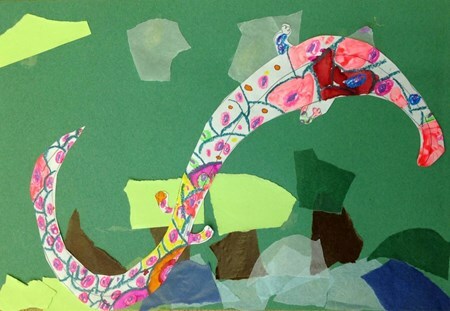 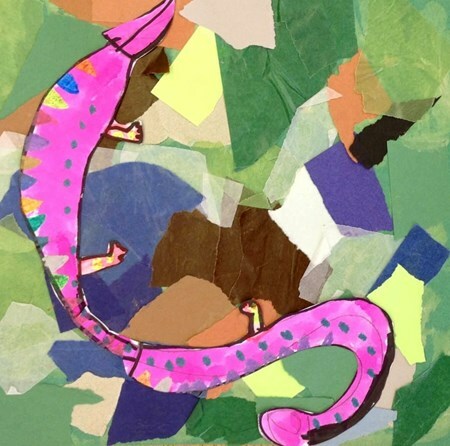 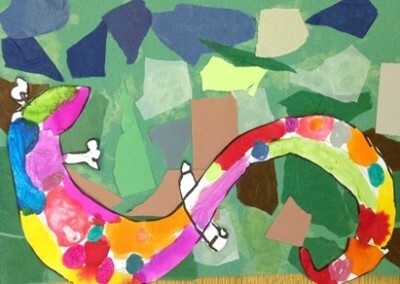 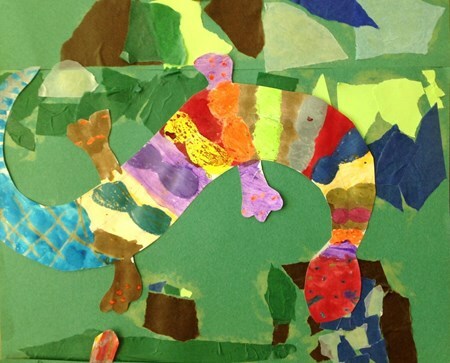 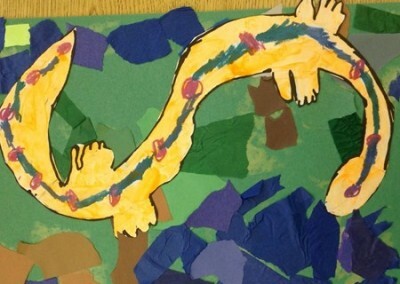 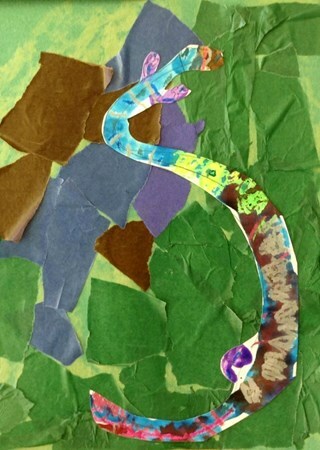 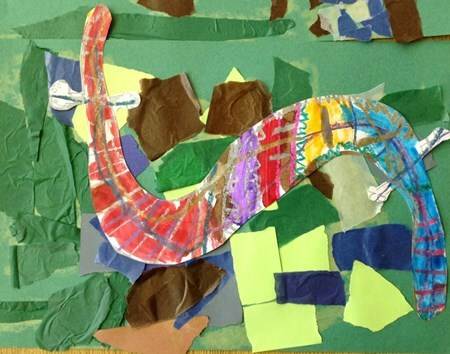 Students will use ripped paper to create a collage representing the habitat of salamanders. 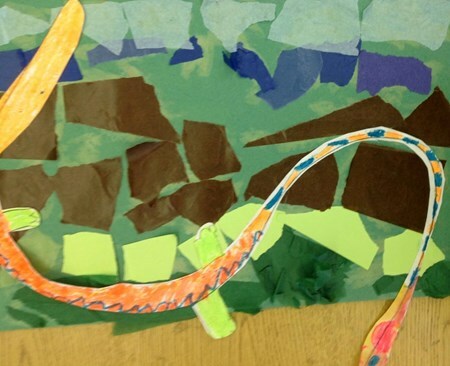 They will use glue sticks to successfully adhere papers to their artwork, covering at least two-thirds of the paper. 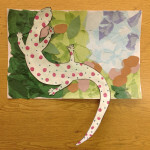 The Salamander Room by Anne Mazer depicts a natural environment recreated in a child’s room and allows children to imagine nature coming into their own bedrooms. 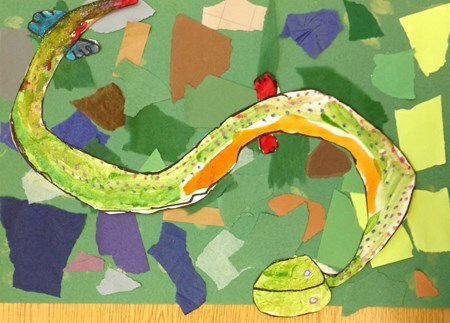 Students will discuss what a salamander needs to survive, using the world created for him by the little boy as a reference. 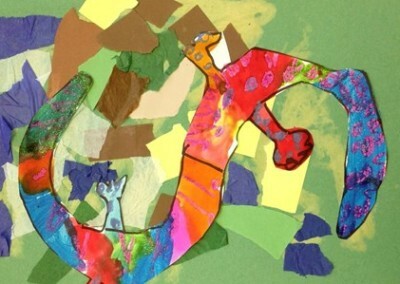 This will translate into what the students need for their own survival.